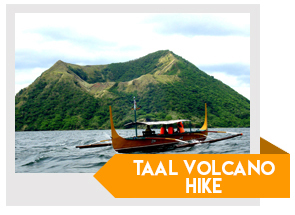 The Taal Volcano is one of the smallest yet most active volcanoes in all of Philippines. With this day tour, experience the majestic view of the lake and its surroundings as you boat your way to the volcano island. It has been a revisited destination by visitors for the short hike and sublime sightseeing. Promising views await each tourist at the top where a bountiful lunch and fresh coconut juice can also be enjoyed. 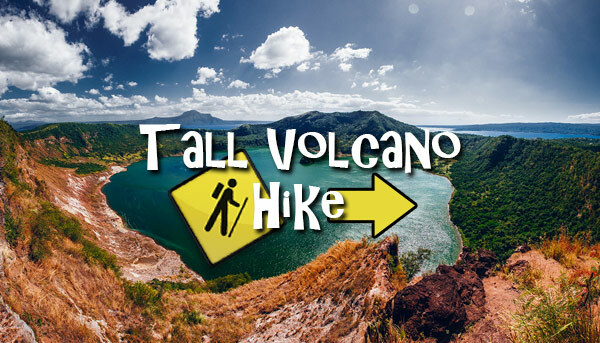 Traveling to this place and walking up to the top is a thrilling experience that you won’t want to miss out on! This tour can be exclusively private or open to joiners and purchasable by all ages but precautionary measures must be exercised for ages 12 and below. 45 mins. trek going to the crater. You may opt to take a horse ride in case you do not want to be tired. 45 mins. or 1 hour stay at the crater to have your enjoyable meal and photo taking. We recommend to take this tour during the dry season that falls on February- April for safety precautions.